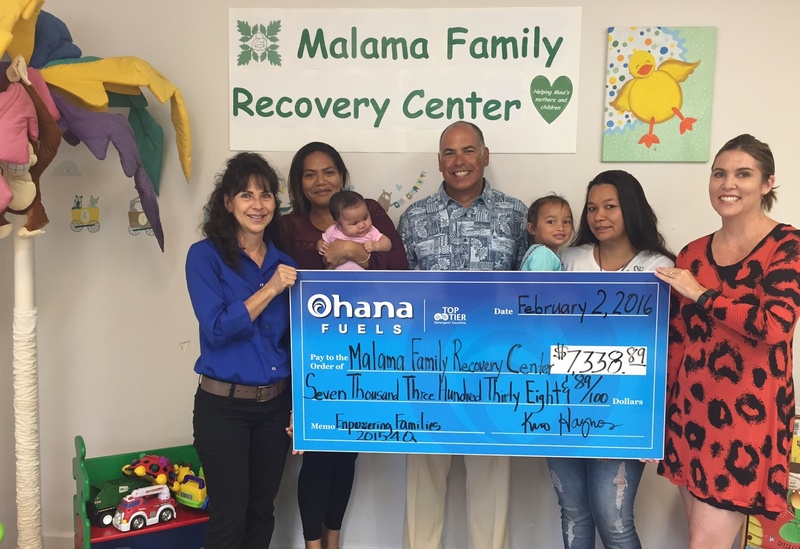 Kahului, Maui – On February 2, 2016, local nonprofit Malama Family Recovery Center (Malama Na Makua A Keiki) received a $7,338.89 donation from Ohana Fuels as part of its “Fuel up. Do good.” Community Giving Program. 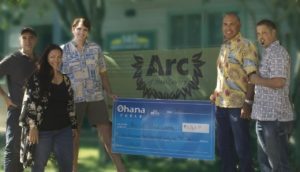 Malama was chosen to receive a portion of all TOP TIER gasoline purchases made at any of the eight Ohana Fuels locations on Maui between October 1 and December 31, 2015. 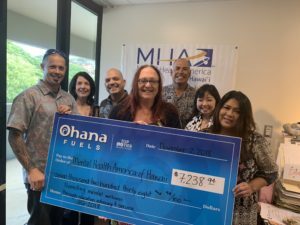 Ohana Fuels also provided space and materials for a car wash held at their Wakea Avenue Minit Stop gas station in December 2015, which raised an additional $255. Ohana Fuels first began the “Fuel up. Do good.” Community Giving Program in 2012 as part of its commitment to supporting organizations and missions important to its customers. 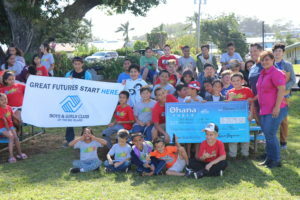 Each year four different nonprofits or community groups on Maui and four on the Big Island are selected as beneficiary organizations. Ohana Fuels is Hawaii Petroleum’s retail fuel brand that provides competitively priced, quality fuels at safe, clean, and convenient locations including eight stations on the island of Maui, and eight stations on the island of Hawaii. Certified as a TOP TIER™ fuel provider, Ohana Fuels meets the premier standard of gasoline for optimum performance and fuel efficiency. Learn more at www.ohanafuels.com. For more information about Malama Family Recovery Center and its impact in the community, visit www.malamafamilyrecovery.org or call 808-579-8414, ext. 8102.